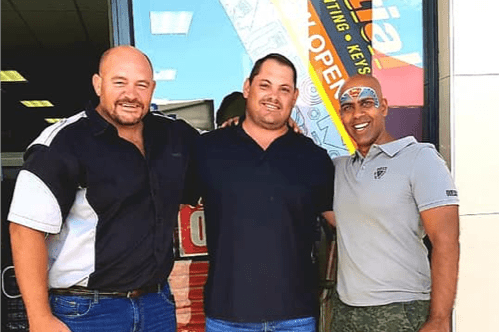 On Saturday, 26 January 2019, Essential Hardware celebrated the official Grand Launch of its Mall@55 store, located in Centurion. The day was filled with fun for everyone. Many of our suppliers put up gazebos in the parking lot across from the store to conduct demos of their products, and there was a jumping castle and face painting for the kids (and some of the adults too) to enjoy. Congratulations to the lucky winners of our competitions and giveaways on the day! They walked away with a variety of prizes, including bags of cement and speciality cleaning products. We would like to send a special thank you to Jamal, the owner of Essential Hardware Mall@55, for hosting this successful launch. Welcome to the Essential family!